This protection spell uses the elemental creature, the Dragon. If you are uncomfortable with the idea that dragons really exist, and are not comfortable beckoning them for help, than this spell may not be for you. You can fine tune this spell at that point, to suit your own needs/desires. Anoint your forehead and both wrists; both index fingers with the oil. Sit in a sacred space/protected circle. As you visualize the power of the dragons flowing around you, visualize all the power shifting to your right index finger and middle finger, then trace a pentagram over what you want protected (person, place or thing) with your index/middle finger. Visualize the light of self (empowered by the dragons) flowing from self into the pentagram you are tracing. Let their fingers burn as such. CLOSE YOUR CIRCLE THROUGH VISUALIZATION. Your spell is complete. Let the magickal dragons help you by taking the spell onward and upward. Relax. Merry meet and welcome. Sorry I have been away for quite a while. I have had an injury that stopped me from typing. But I am back and will do my best to get back on the ball. Dragons… in your home???? In your Kitchen??? Seriously??? Well Yes. Dragons are wondrous creatures, and kind of picky about whom they contact and connect with.. But they are very protective, orderly and know where every thing is that they are responsible for. And befriending on and welcoming them into your home can be beneficial to both of you. You have a Dragon there to assist you and they have a safe, secure home that they are loved and believed in. One thing you must always remember when you ask a Dragon into your home is this.. They are very powerful, wondrous creatures. And you are crunchy and taste good with a beer. No Seriously. 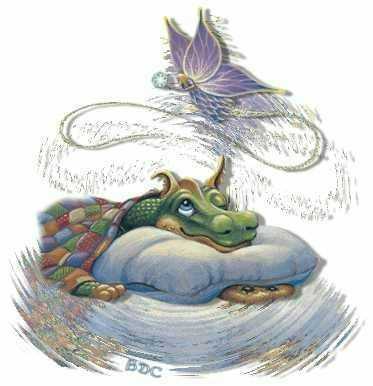 When you invite a Dragon into your home you must treat them well.. As they are much more powerful than you and do not take to being mistreated or abused.. or having anyone in their care abused.. so be very careful. If you have any reason to think a Dragon may have issue with your actions. Please do not invite one in, have a relationship with them outside your home. Working with dragons requires that you earn their trust and friendship by showing that you are worthy of it. This doesn’t mean you must be perfect. Dragons realize that a human aren’t perfect, nor is the world we live in. But, if you put some effort into it, and do what you can, you will find some great friends. I know this may sound stupid or crazy even, but for those of us that have found Dragons and have on helping in their lives.. Well you all know what I am talking about. If you befriend a dragon to live with you be prepared for a demanding time, your companion might seem to be a little harsh at times but remember that they are NOT HUMAN so will look at things a bit differently than you. But from their point of view what they do is in your best interest. Remember also that they are intelligent and you can disagree with their point of view.. Once you have a good working relationship with a dragon he or she will want you to learn all you can, it can sometimes be hard to keep up with them. 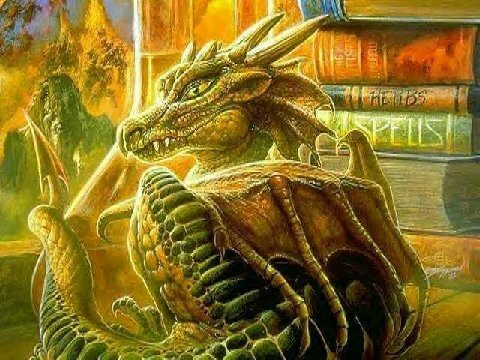 Dragon Magick is not one of those things that can be picked up and put down again when you feel like it, it is a continuous learning experience that lasts a lifetime. Be sure to give them the respect they deserve and they will respect you. You have to have a two way relationship with them, they are not going to do all the work whilst you sit back and watch! Treat your dragon companion as your friend, don’t just call on it when you need something but allow it to spend time with you. Your companion will like to feel wanted otherwise they wont see the point in hanging around. Never order a dragon to do anything, always ask, after all you wouldn’t like to be ordered around. That is probably the easiest was to lose a companion, and if you annoy one , you will probably find that others will refuse to work with you too. Be completely open and honest with your Dragon as it will know if you are lying. Before even considering working with a Dragon, do your research. 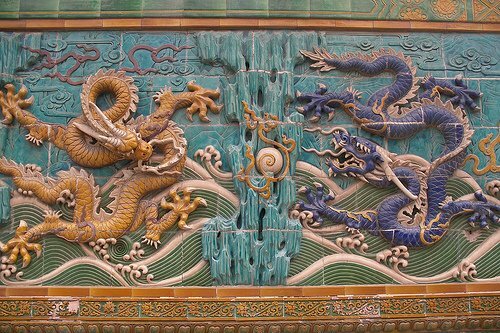 Look at the myths and legends of Earth; try to understand the nature of the dragon. Western myths mainly portray them as evil but that is mostly because they were fear and misunderstood. As was the case with many creatures that were different or powerful. 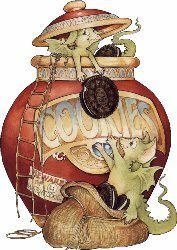 Eastern writers seem to understand the wonder and knowledge of their Dragons, they are portrayed as wise and just creatures. To be revered and worshiped as honored members. Dragons do, however, avoid negative Humans who might hurt or try to control them. If a Human does try to hurt or control a dragon, they will have wished they hadn’t! If you try to hurt or control a dragon, there are great consequences. The most drastic of these is death, although it is rare, for most Dragons do not wish to kill or harm other beings..
We have always been fascinated with dragons. They feature in the myths, legends and history of nearly every country on earth. However, most of us still think of dragons being only a myth or a fantasy, but dragons are very real, although you wont see them wandering around like a deer! I believe that Dragons left the earth to live in the astral realms but they still have a hand in the “real” world. Some have even come back to earth to co-exist with a human, to help them and make sure the ways of the dragon are never forgotten. Some say that many Dragons have been reborn as humans and that it is very hard to tell these people apart from the rest of the population as they look and seem human. I have not met one so I cannot say for sure. But who knows, anything’s possible. Once you have learned about dragon nature its time to look at yourself. You will need to be self-disciplined, you have to be truthful with yourself and you must be willing to make some personal sacrifices. Being truthful to yourself is very important; you should always be true to yourself no matter what the circumstances. It’s a good idea to ask yourself why you want to have a Dragon live with you. Working with Dragons is not a game; you are asking a powerful entity to live in your home with you and your family. You will also need to have your family in on it as well. They will need to understand what it is all about as well. If your reasons are selfish or dishonorable then rethink your desire. Dragons live by a code much different than ours. Dragons do, however, avoid negative Humans who might hurt or try to control them. If a Human does try to hurt or control a dragon, they will have wished they hadn’t! If you try to hurt or control a dragon, there are great consequences. The most drastic of these is death, although it is rare, for most Dragons do not wish to kill or harm other beings. 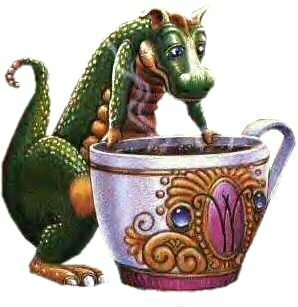 You must always include your Dragon in your day. Do not think they will sit idly by while you go on with your day. Thank them, leave an offering for them, and chat with them while you cook or clean or do ritual. Dragons deserve respect and reverence. Just saying ‘Thank you for being part of my life’ will make them feel loved and appreciated, as it would if someone said it to you. This way you are giving a little bit of energy to the dragons who watch over you and they, in return, will be happy to give you some of their energy to protect your home, help you organize, even do Ritual.. Whenever you are able, celebrate the dragon festivals. They will appreciate your efforts and might join you in celebration. There are many types of Dragon, Water, Earth, Fire, Air, and Chaos.. you can find ton of information of that on the web. And you should.. you should learn everything you can before you make this kind of commitment. But the Dragon will also teach you about themselves as you go along. You will not be able to go out and custom pick the dragon. They will find you after you invite them. And if you both are not completely comfortable and happy with each other, well then politely discuss it. That you do not think it will be a good fit for your both. You MUST feel safe and comfortable with the entity you are asking to LIVE with you. This is a little ritual you can try if you really wish to invite dragons into your life. Choose a time when you will not be disturbed. Sit or lay down on the floor and ground and balance yourself. Push the stress of the day away and into the earth. Once done, imagine a protective bubble forming around you. One of the easiest ways to do this is to imagine a small bubble just in front of your chest then let it expand to surround you. You might not be able to see this bubble, especially if it’s the first time of using it, but know that it is there protecting you. The next step is to invite a Dragon to become your friend. Mentally project the desire to contact and make friends with a dragon. Be confident but don’t shout your intention. Then either in your mind or out loud say this, or something similar, “I follow the path of dragons. In love, trust, and friendship I invite you into my life and into my home. My family will love and honor you ” Add anything else you wish to say and keep projecting welcoming thoughts. Don’t expect to feel a companion right away; it can take quite a while before they feel you are ready for them. Sit for a while longer incase they do wish to make their presence known. You may have to wait a few days… as they are not just sitting around waiting for us. Your energy has to go out and find one that lives with the same energy. Or one that “feels” you. Once you have connected with a Dragon and you both have mutually agreed to live together.. You now have to treat it like any other relationship. You both( all) need to work together to peacefully live in one place. You need to make known the needs you have and the things you wish your Dragon friend to assist with. And the Dragon will let you know what it expects from you, as well as what it agrees to do to help you. This is a mutually beneficial relationship. As you help your Dragon so shall it help you. Protection, balance, peace, order, healthy plants, well behaved pets( as dragons WILL let them know what they CAN’T do…LOL…) lack of pests( snack foods for dragons) I could go on and on. It may seem like they are doing more for us than we are for them. But think about it. How many places can a Dragon go and be itself, help and receive help, be trusted and believed in. As long as the relationship is good and you treat them like a loved member of your family you can look forward to a long happy relationship. I was going to put a bunch of information on.. but decided that the best way to learn about your Dragon friend it to as. To be open to learn about it and to have no preconceived ideas of what SHOULD be. So it is up to you to go learn, read, ask, and then once you have befriended one… ask, learn, study… and be open to everything. catch the attention of one and learn from them. Advanced Dungeons and Dragons 2nd Edition Monstrous Manual Game Accessory published by Tactical Studios Rule Inc. in 1993.